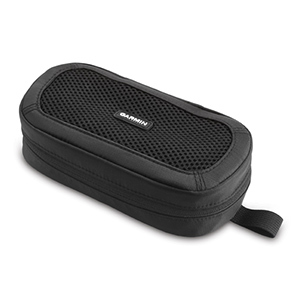 Store and carry your device and accessories with this zippered carrying case. Fits your Edge® or Forerunner® along with accessories, such as heart rate monitor strap, charging cradle and USB cable. Features a mesh top for ventilation and end loop for attachment options. Great for keeping it all together when you travel.